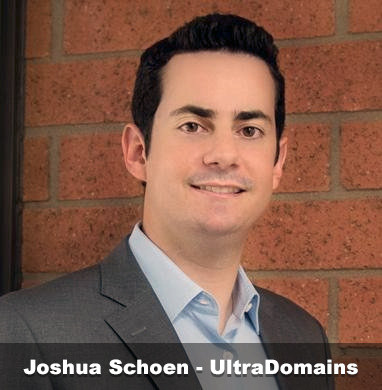 Joshua Schoen – UltraDomains founder. The chutzpah of random strangers these days. A self-professed “businessman” sent out a lowball offer, along with threats to a domain investor. For starters, the aged, generic .com domain was registered in 1999. That’s 19 years ago and eons in Internet time. My top offer is $11.99, which is what I paid for [redacted].co. I would rather spend five figures filing an UDRP against you for cybersquatting on my business name which is also registered w/ federal and state agencies and pending trademark approval. Such empty threats aren’t uncommon, and often arrive from uneducated, passive-aggressive buyers with no common sense or budget. I’m sorry but we’re going to have to decline your very generous offer of $11.99. So, one day you wake up and decide you’d like to start a company called [redacted] and now my company, the rightful owner of [redacted].com (originally registered 19 years ago in 1999), is cybersquatting on YOUR business name?? Please enlighten me on how that makes any sort of sense whatsoever. We would have taken a shorter approach, telling this lowballing dipshit to feck off. Redacted #domain sale breaks all records!